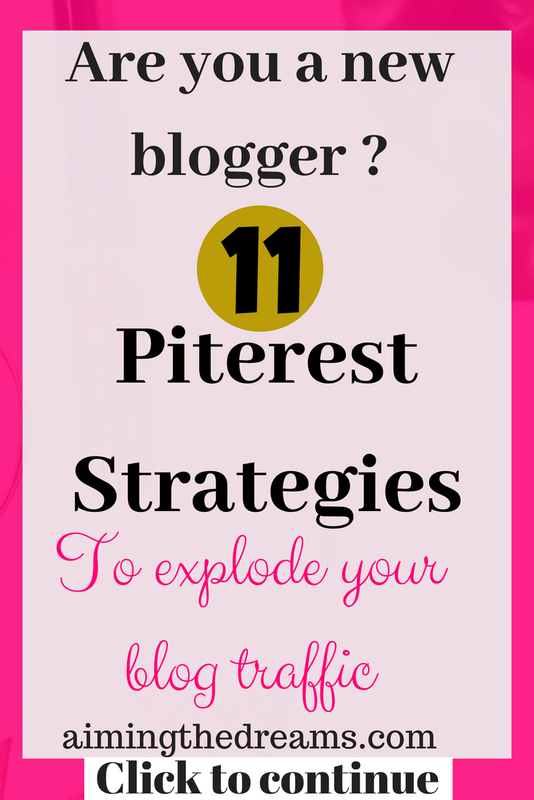 Applying these pinterest strategies to grow your account is a must for new bloggers. As it is obvious, social media is a must for growing your blog when you are a new blogger. 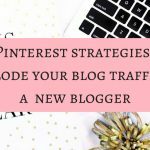 I am a new blogger too and pinterest is a saver in terms of blog traffic. It starts giving you instant traffic. It is really a visual search engine. Earlier, it was used by DIY, or recipe bloggers but now people from almost all of the niches are there on pinterest. If you follow some strategies as a new blogger, it will definitely give you ROI. 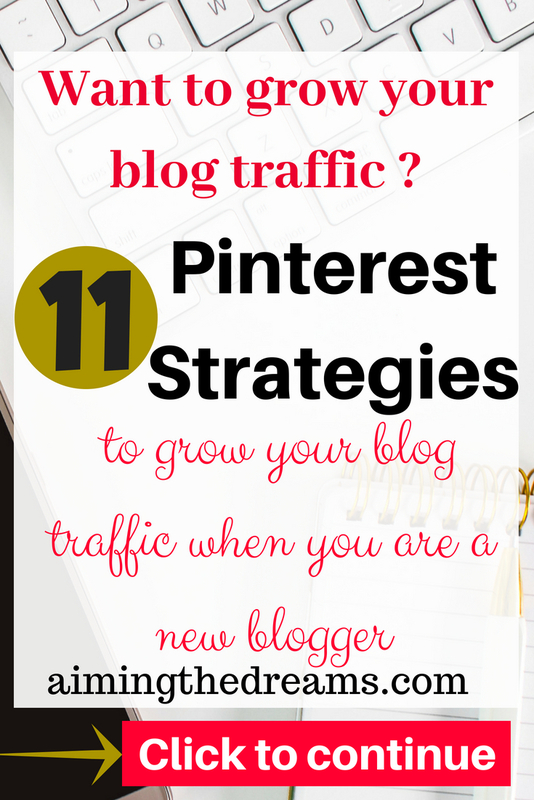 It is a goldmine for traffic for new bloggers. I could feel, how frustrating it becomes when you are just starting your blog and churning content over content and getting no traffic. Pinterest comes to your rescue. Here are some strategies that will help you in growing your blog. You can easily turn your personal account to business account . Go to pinterest business acoount page and follow the prompts. Few steps and you are ready to grow your account for growing the traffic. 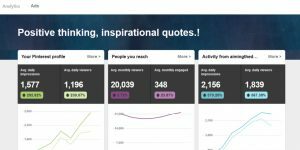 business account allows you to see the analytics for your account. Looking at the analytics you can analyze which pins are working well for your account. It gives you insights into what is working and what is not working. Create pins around your specific niche. This will help you in identifying different type of boards and you will be able to add specific pins to specific boards. Your board labels should be keyword rich. This way your board stands a chance to appear in searches. Keep in mind, pinterest is a search engine. Design vertical pins. Write keyword rich description for your pins. Stay with the fonts related to the fonts in your blog posts. As for pins, a ratio of 2:3 is considered good. The color scheme should be somewhat similar to your blog color. Use fonts which could be related to your blog post fonts. Size of 1000 to 1500 pixels does well. 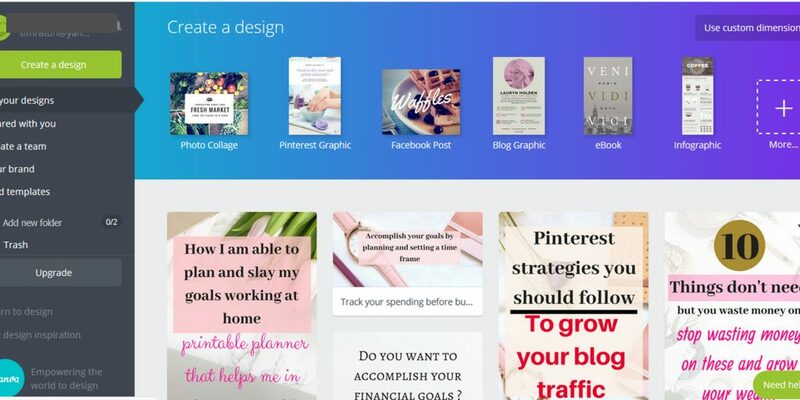 For designing you can use free software like Canva. Keep it simple and clean because too many fonts doesn’t look good. Try to write in big and bold letters. It is always good idea to keep the design to minimal. Group boards are a gold mine for building your viewership. Follow group boards if you want to grow your traffic fast. The reason is that when you pin to those boards, their followers see your pins. And if your pins are high quality then you will definitely get repins and reshares. Pin your content to group boards and repin and reshare from groups. Yes we all know ‘sharing is caring’. Contact group admins : Always look at the information on group board description and try to contact the group board. It is the first person in the picture on the left . Pinning high quality pins with a consistency is required if you want to grow your blog traffic. Pinterest is the fastest place to grow your traffic because all the new pins are shown to people. It is not like other social media sites where only your followers will see the feed. It is difficult to be on one social media whole day. For this schedulers come into rescue. For pinterest, use tailwind. It pinterest approved scheduler. It has easy to use interface. Though when you are starting out, it looks bit difficult. But you get accustomed to it as you go. It becomes easy to pin with the help of social media schedulers but pinterest loves when you are actually there. So pin manually also. As for me, I live in Australia so what I do is pin at two times manually. One in the morning. And other in evening. The optimum time for pinterest are evenings. And most of my viewers are from America and Australia. So when I pin in the morning, it is evening in America. And when I pin in evening, it is seen by Australian viewers. It is best to have a pinning strategy according to your own niche and viewers. Test these things and find out. Never forget to add blog post URL into your pin . Also, write down your own description enriched with keywords. But don’t stuff keywords into it rather make it valuable to viewers. If you will not add URL of your blog into your pin, it will display as ‘uploaded by user’. And you will loose a significant amount of traffic. Have you ever thought of sharing something when you are asked to share. Or read it. So it is a good practice to add ‘read it’ text prompt to your pin. You can change your text as you like but it will give your viewers a ‘call to action’ to click. Pinterest is a social media along with visual search engine. So sharing goes a long way in improving your stats. Repin and share others content too. If you are a new blogger, go with the Pareto principle of 80-20. Pin 80% of your own content and 20 % of others. It will help you grow your account, because pinterest likes when you share other’s content. When you repin others content, it increases your engagement too. As for other things, consistency is the key. When you start pinning consistently, you will definitely see a rise in page views and eventually your blog traffic. There is no rule , how many pins you should pin but people have seen good results with pinning 20 to 30 pins daily. And it is recommended to pin atleast five times in a day. You don’t need to be on pinterest for whole day but it could be done with the help of social media scheduler. For Pinterest, Tailwind is considered best. It is approved by pinterest. 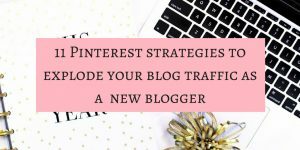 These are strategies which helps in growing your pinterest account and also it helps in growing your blog traffic. Eye catching pin designs prompts to click on the pin. And then it depends on the content of the blog. Pin bweautiful vertical pins and have a growing account. Thanks Frencesca. Yes me too learn all these after spending many months on pinterest. Thanks for reading. Thanks Vidhi for your kind words.And yes manual pinning is better if you can spend some time on it. Thanks for stopping by and reading. Excellent advice and perfect timing – helping client with email list/subscribers and this will fit right into the strategy. Great work! Thank you Andy for stopping by and reading. For blogging, there are so many things to do. Yes Elzevera, go for it. Thank you for reading.